Stable Thermal Cascade Plasma Generator. CleanElectricFlame®. with a modern open-plasma device..
Use the SmartPlasma device. Compare with DLC and other Plasma methods. Create Carbon Nitrides, Nitrogen Carbon, Borides, Mixed Borides. Hard and Smooth OxyNitride Colors. High Vickers. Compound layers in steels form in-situ or by graded layer processing. Use on chromium, molybdenum and managanese steels, titanium alloys, zirconium alloys, diamonds. Oxynitrides are one of the most important new class of materials for use in low wear surfaces, plasmonics, solar cells to glass coatings. Deburring is enabled by the cascade e-ion beam. 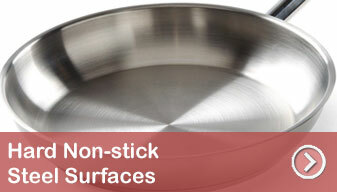 Create Non-stick surfaces for steel and cast iron or treat cell phone glass. The Cascade e-ion allows for continuous seamless processing for improved tool and die performance. Welcome to the world of two dimensional materials formation of various types. Microstructure, EDAX and XPS results. The Cascade e ion processes allow continuous use. Traditional furnace based batch treatment techniques could be expensive. Batch processes are often inefficient and expensive due to high furnace and facilities costs. Compare processing time in seconds/minutes with long processing times in furnaces and the associated huge energy consumption. Other costs from batch coaters include frequent maintenance and repair with specialized labor. Extra steps like plasma cleaning or blanking parts may be required which are mostly not required with the Cascade e-Ion process. XPS and other fine electronic probes display the fine structure, depth of ionic penetration and new phase formations which are advantageously used. The application of titanium, zirconium and iron & steel alloys is limited by low shear strength, high coefficient of friction, low hardness and poor wear resistance. The cascade e-ion is the first process to offer processing within seconds with no space limitations. Some of the ROI's are astounding. Some truly useful phases of iron nitrocarbides, carbontrides, smooth oxynitrides, compound phases/layers for hardness and high wear resistance, epsilon phases, and titania or other antimicrobial nanostructures may be experienced. Experience also the possibilities of rapid bulk heat treating and quick brazing with very low operational costs - often less than a cent per part. Create conditions for chromium nitrides, titanium nitrides, tantalum, niobium and zirconium oxynitrides, manganese (oxy)nitrides, vanadium nitrides, oxycarbides, aluminides and aluminum/magnesium/silicon nitrides and oxynitrides (including composite combinations or particulate,fiber, functionally graded or grated layers). Lanthanum, perovskite Oxynitrides for photocatalytic power and photoconductivity. Ion nitride yittria zirconia films. Create functionally graded or grated layers with oxynitrides, oxides, inorganic elements, nitrides and many more. Change the adherence in organic molecules by plasma polymerization on goggles, pastics, mold surfaces and other parts by direct application. Combust coal and Biomass to less release of aromatics and complete combustion. Please contact MHI. Case Studies are discussed that range from tool bit reconditioning to easy surface improvement of steels and cast irons. Bearings, axles, rails, deep-dishes, pans, broaches, drills, carbide drills, cast irons, simple parts like nail clippers and scissors to complex parts that hold up space mirrors and much more can be GoldenBlue™ treated effortlessly with the cascade e-ion plume. Enjoy the benefit of high temperatures to create smooth and hard surfaces now made easily. Is there a simple way to tell if the Cascade e-Ion Plume treated part is smoother? Yes, when nitrided or oxy-nitrided with the GoldenBlue™ treatment, the swage-lock, high temperature bolt, ball/roller bearing or machine tool should make less noise when machining, or when putting on the nut. Less noise is an indicator of smoothness. How is wear reduced? Wear is caused by material loss by tribological processes. 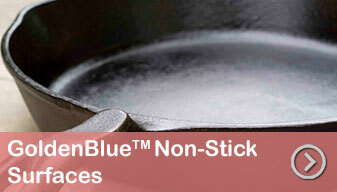 The GoldenBlue® reduces galling, adhesion, abrasion and tribo-oxidation depending on the alloy. See samples in the Auto Industry. Rapid new techniques for Austempering and Martempering. Figures shows Cascade e-Ion Machines. Permanently color your hard surface. - Heat up rate 100K/s (Kelvin per second). Ionic heat transfer. - Price per part for several small parts using only air and electric ~ 0.2US¢/part. Price of Energy: The price of energy depends on the source but is not that different between different forms of energies that one can use (e.g. gas or electric). Comparisons are given for example on Duke Energy. In the US, when comparing gas and electric a rule of thumb is that gas energy is about 75% lower cost when compared with the same quantity of electric energy. However electric machines are generally much more efficient than gas heaters. For example, the OAB or Cascade e-ion can save you even 90% of traditional energy use in relevant applications. These new machines can dramatically influence operational costs. Often using electric heating is less polluting at the use point. Additionally, electric heaters can be efficiently/accurately controlled. Both KWhr and Therm are units of energy. 1kJ (KiloJoule) = 0.9485 BTU=0.0002778 kWhr. One Million BTU (MBTU) = 10.002 Therm (US). Electric energy is normally priced for every KWhr used, while gas is priced by the number of Therms used. The Cascade CleanElectricFlame® technology uses just electricity and air (or other gasses if required, like Nitrogen, Argon or Forming Gas) leaving behind no residues. MHI's Cascade e-Ion Plasma™ uses less energy, produces hardly any noise and is safer than traditional heating methods. It is one of the most special plumes available. The Cascade e-Ion systems are available for use with hard alloys, plastics, metals, glass forming, ceramics, composites and a number of other materials - even food or wood. The Cascade e-Ion devices can be used for sintering, for example, titanium and carbon mixed powders in minutes. Large surface plates are easily moved under the beam.. The CleanElectricFlame® provides a Cascade e-Ion environment. The Cascade e-Ion can bend, nitride, creat surface borides like Zirconium diboride and alloys, and for inducing colorful smooth surface oxynitride of many materials including manganese, chromium, titanium, copper/ graphite and glass. Possible use for automotive axles, pistons, tappets, piston rings, valve stems, guides crank shafts with quick low cost nitriding(O) - even for space re-entry surfacing. The CleanElectricFlame® provides a new type of reducing environment. Even difficult materials like copper and tungsten-copper alloys have a shiny finish after the Cascade e-Ion plume treatment. In situ growth of nitrides and oxynitrides is a special "open" feature that only the plume from the Cascade e-ion can accomplish. Adopt early. Early stage pricing and possible MHI partner financing available. MHI offers an attractive MHI-Never-Down program. Please ask for details on the Cascade e-Ion Models, like the unique the MHI-Never-Down program warranty-type features and, if required, MHI Financing. Click on the left navigation bar "solutions" to view several of the case studies. Contact MHI for tool energy savings and astounding ROI possibilities for engine valve steels like EN grades, 21-4N, 52000 and others. Customize for deposition type and shape. Contact MHI. Compare price and energy efficiency with ordinary transferred arc or induction plasma deposition or laser. No electrodes to change in cascade plasmas. Improve Surfaces from Tool bits, Non-stick to Electrical. Titanium Oxynitride-Nitride, Yittria Zirconia (with dopants), Boron Carbide, Silicon Carbide, Molybdenum diSilicide. 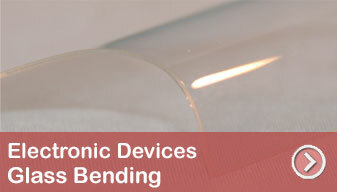 Super-ionic bending and Ionic Surface Hardened Glass and Nano Surface Depositions. WC and other high wear resistant surfaces for tool bits. Tubes and complex shapes. Thick Alumina on Aluminum. In situ nitriding of tubes for dies. Easily make functionally graded coatings. Titanium Oxynitride Nitride coatings on HSS and other surfaces. Easy oxynitride or nitride nitride formers are Ti, V, Zr, Al, Mn, Mo,Fr, Cr and many others. In addition various eta phases carbon-niitrides and borides are possible. MHI provides coating for Nickel Aluminide formation with the cascade e ion. Contact MHI. Clean Coal Combustion and Ignition (reduced aromatics). Color of surfaces. Contact MHI for Edax, Microstructure and XPS results where available. From surface crystal growth technology to surface nitriding, the Cascade e-Ion places the technical process and value-addition possibilities squarely in the hands of innovators of tool-bits, steel parts, cast iron and steel manufacturers-both primary and secondary non-stick-surface manufacturers, solar cell materials and shapes, hydrogen storage and wafer manufacturers - thus giving everyone new market opportunities. The Cascade e-Ion makes it extremely feasible to provide dross reducing covers for melting metals. The DRO models are particularly well designed for this type of solution. The cascade e-ion can make magnets better for corrosion resistance or high temperature oxidation. How do you know that the surface is harder? Bounce the ball bearing and watch if it bounces higher than the non-coated bearing. What is Cascade e-Ion Plasma™ | Extremely Wide Area Plasma (with LIP) | Extremely Rapid Depositor De-e-Ion Models with arrangements possible for trials on surface reconditioning with purchased units. Save energy: use ~15kW not ~150kW. In dollars? Please click here. Use air as input gas almost for all applications because of the heavy nitrogen ions in plume. Easy port for steam and any other gases. If using other gas then OK to switch to air when not in use. Use time is short. Grow unusual smooth surfaces within seconds. Enjoy flexibility of operation (just immerse or impinge plume on part). Particularly suitable for large or small batch production. Large or heavy components which normally are not be treated by conventional plasma (because of a lack of process control) can now be economically nitrided/oxynitrided. Enjoy MHI-Never-Down Program (enrollment is free up 2016 December). Best of MHI Sales and Service. 3DBrazing and 4DSintering®are a registered trademarks of MHI. We may not yet have all the answers on every application, so we may not be sure if the Cascade e-Ion Plasma™ is always right for you. However, for most surfaces the CleanElectricFlame™ provides the best of plasma, ion-implantation and modified chemical species, enough to warrant a trial (payment may be required) on your part. Regardless of whether we know what the treatment offers for a very specific untested surface, we can certainly arrange to have your part treated during a live video conference. Contact MHI. It is worth a try! a) When the part or tool lasts longer or can be used at higher speeds. b) The tool requires lesser number of replacements. c) When dry machining is possible. Dry machining has great potential for improved energy and resource efficiency. d) The process for manufacturing of the tool uses the lowest energy procedure so that the total energy cycle is minimum. (e.g.as with the Cascade e-Ion). 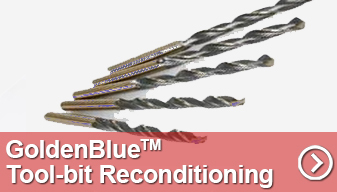 Please compare GoldenBlue® treated with other tools/drills and bits. Is MHI's Stable Cascade E-ion a new type of flame - made from just air/electric? The Cascade e-Ion technology is a Stable Thermal Cascade Plasma Generator. Also called the CleanElectricFlame®. 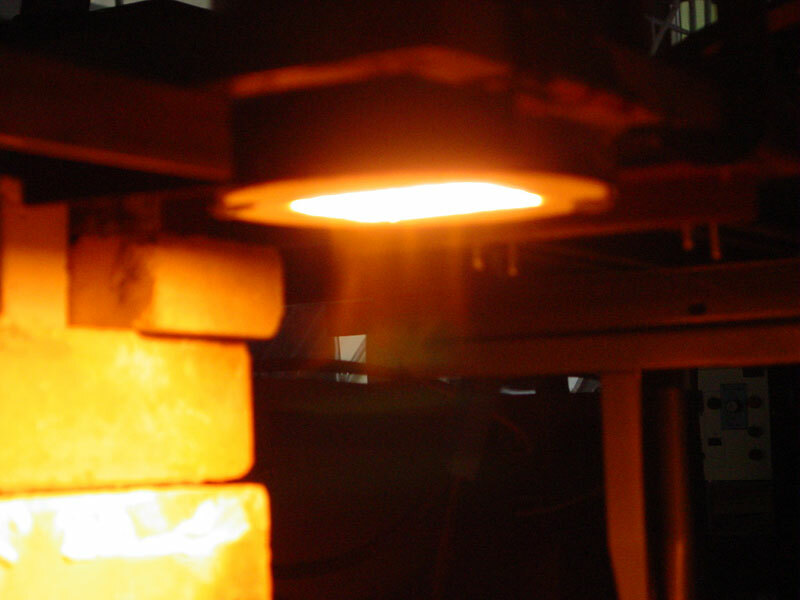 The break through process produces a high watt density atmospheric pressure-level plasma plume, capable of rapidly cleaning, deburring, depositing, growing, hardening, joining, reacting of gaseous to metallic materials and many more applications like rapid brazing, rapid heat treatment, and ultra-low cost of total energy degradation. Customer Testimonial. "I had a look at your table comparing the cost and various features of (standard RF) plasma nitriding and MHI (Cascade) e-ion plasma nitriding machines and the advantages of the later are remarkable. This type of comparison ......... an alluring proposition for any stakeholder to purchase such an equipment". Cascade e-Ion Plasma™ technology uses electricity and just air (or any other gas) to produce a CleanElectricFlame® plume that contains ions, electrons, radiation and hot gas. It is a versatile tool for several possible applications. To the best of our knowledge this is the only plasma generator that offers close to 100% power transfer - thus making it a unique high-efficiency directed energy source. Applications could include the formation of a single layer of atoms (or stacks), with far-reaching potential. Known as two-dimensional materials, this class has grown within the past few years to include lattice-like layers of carbon (graphene), boron (borophene), hexagonal boron nitride (white graphene), silicon (silicene), phosphorous (phosphorene) and 2d oxycarbonitrides or special carbon nitrogen compounds. Cascade e-Ion applications page. On account of the number of ions that are quickly supplied to a part the Cascade e-Ion plasma™ finds uses in machine-tool development of new and reconditioning machine tools, non-stick surfaces, clean glass bending, covers for liquid metals, plastics (polymerization and functionalization), metals (heat treatment of semiconductors, metal finishing, nano-deposition and brazing and related operations). The machines also find use in ceramics (ceramic surface modification, nano-treatment and other modern materials from new process type use). Please click through to our Cascade e-Ion applications page for typical solutions. Shown below are the first ionization energy of gases as a function of the atomic number. When used for surface treating, XPS and other electronic probes display the fine (nano or surface quantum dot) structure, depth of ionic penetration and many undiscovered new phase formations which may be used advantageously for applications. 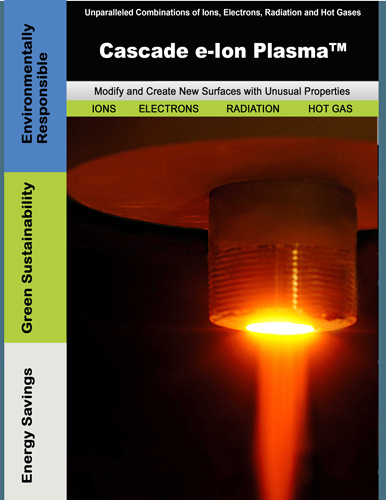 What can the Cascade e-Ion Plasma™ CleanElectricFlame™ do for your industry? Cascade e-Ion Plasma™ Case Studies Solutions. The GoldenBlue™ Surface and Process Engineering. If you need a password, please fill the information below and received access to private case studies. Multi-gas inputs are standard for e-ion and S-e-Ion models Find out more for inert and hydrogen gas, carbon containing gases and steam? DRO models are for melt dross reduction. G models are for glass shaping. Plasma-vittori™ tubes to deflect/spray the plasma beam. Find out more? Contactl MHI for which specific part number can be used for a given application. 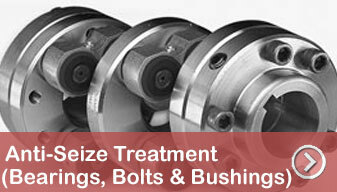 *EIZ is with custom attachment of materials handing systems for applications. Do 1000 parts per hour and save energy and cost. (Please request quotation from MHI). New* R&D Model. Discounted almost 50% for academic institutions who are at least one year old existing MHI customers. There are specific accessories offered for specific technologies. MHI's unique Cascade e-Ion Plasma™ features novel technology that allows it to replace existing processes while simultaneously improving efficiency and productivity. 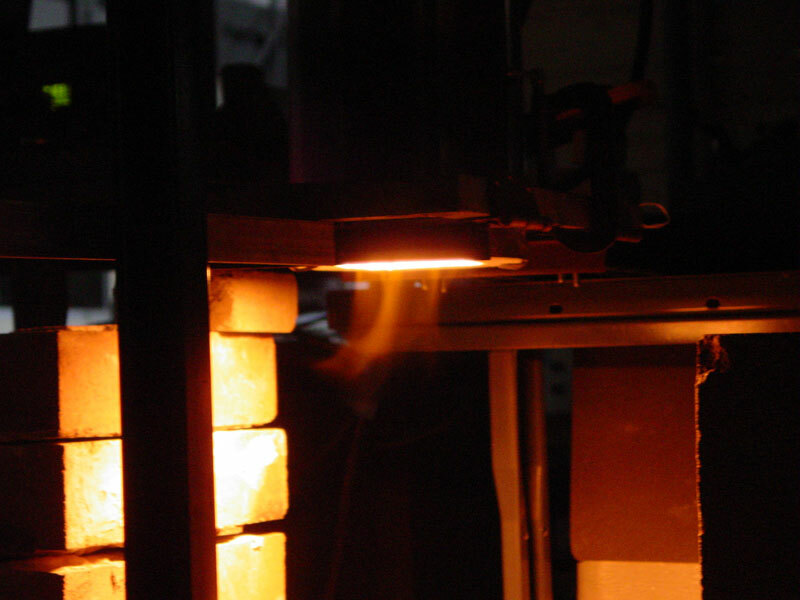 Immerse in CleanElectricFlame® for non line-of-sight processing or BendHeat™ requirements. The unique plume allows direct rapid processing of surfaces and maintain cleanliness even for air processing. Hard Coat or refurbish tool bits, drill bits, machine tools. Save energy, double drilling speed, more life and improve ease of tapping. Brazing Aluminum to Steel to Magnesium, Aluminum to Magnesium, Plus other combinations of brazing ferrous to nonferrous metals. 3DBrazing® and 4DSintering® are a registered trademarks of MHI. Rapid Deburring and Smoothing from Metals to Plastics. Smooth Finishing. Ionic Deburring and e-Ion Peening if Biomedical Parts. Titanium Nitriding. Carbon Nitriding. NitroCarburizing. Please call MHI. Hard non-stick within seconds. Rapid processing. Simple. High-intensity die heating similar exceeding performance by Induction, SW-IR or Laser. Please contact with request for free-report for heating rate and non-line of sight uniform heating. Plastic Surface Functional Manipulation (please download ideation brochure).Plasma Ideation Brochure. Surface treatment without grounding object. Possibilities from water to paper and pulp industry. Possibly use for activating carbon or other surfaces by the ion charge and temperature in the CleanEletricFlame. Create Hydrophilic or Hydrophobic surfaces. Smoothing and conditioning. Connect to air/gas source and electric. Small foot-print. 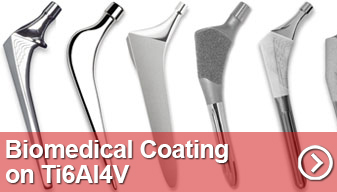 Use for metallic deburring specially for biomedical parts for example made from Titanium. Cleaning extruded plastics. Avoid toxic chemicals. Unique power adjustments possible. High value parts such as transportation (Land based, water based or air and space based). Ecological solutions, for health reliability monitoring of parts for inspection" Plasma Ideation Brochure. Scratch test yields COF ~0.1 on coated stainless 304. Dross Reduction in Metallic Liquid Melting and Holding Furnaces. The Cascade e-Ion is used to melt or cover melts without the need for the chemicals that are used currently to prevent metal loss from slag formation. Two pictures shown below - a conventional heater/burner was replaced with the Cascade e-Ion melt from air plasma. Note the significant reduction in slag and better quality of the overall melt (now shiny). (Download Plasma Applications for Aluminum Supplement). The use of the Cascade e-Ion leads to substantial savings in metal recovery accompanied with reductions in the use and disposal of harsh chemicals. Use for aluminum, silver liquation and other dross as the special reducing ionic beam comes into play. Large savings and very high ROI for air cascade e-ion cover for aluminum, zinc bismuth, silver, gold, lead and other metals for refining, beneficiating or separation as applicable. Use De-e-Ion™ for cleaning and simultaneous application of nano surfaces, dyes and other defect markers. Nitrides, Yittria Zirconia, Boron Carbide, Silicon Carbide, Molybdenum diSilicide. Glass and Nano Surface Depositions. Thin Film Deposition. Molybdenum DiSilicide by ionic deposition and deposition of other nitrides and carbides. Quick ion-assisted deposition. Thermal barrier coatings including functionally graded coatings with both ceramics and metals. Easy use with precursors. Improve surface adhesion and wettability. Deposit carbides, nitrides, borides, phosphides sulfides and more in a graded fashion for various functional uses. Ion/Plasma Nitriding, Rapid Diffusion Brazing, Tool-bit repair, Glass bending, Diffusion, brazing, Output Shaft Hardening, Horizontal Drive Bar Hardening, Shock Absorber Stem Hardening, Axle Shaft Hardening, Constant Velocity Joint Hardening, Hardening of power take-off, Shaft Hardening, Bolt Head Hardening, Heating of titanium and/or stainless steel wires , Hard Metal Tool Brazing, Resistance Brazing, Gauge Brazing, On-line tempering of mechanical parts, Shrink Fitting, Hardening and tempering of chains, Agricultural Tool Sectional Hardening, Drive Shaft Hardening, Stub Shaft Hardening, Power Transmission Shaft Hardening, High Wear Application Hardening, Automotive Axle Shaft Hardening, Internal & External Tube Brazing, Honeycomb brazing, Oil & Gas Wear Resistance Surface Treating, Rapid Tool Bit Manufacturing (WC-Cobalt), Manufacturing Shiny Parts without Reducing Gas. Copper Brazing, Low to mid-carbon steel heat-treatment (4140 grade), Bio Implants of Plastics, Cobalt alloys or Titanium alloys for various types of surface enhancements from antimicrobial to best fusion with base metal, Decontamination, Textile Processing, Non-line of Sight Heat Processing, Fluorocarbon deposition, Fluoropolymer deposition, Silicon Deposition, Rapid Epoxy Deposition and Curing, Glass Substrate Deposition, Electronic Polymer Applications, MEMS, Carbon Nanotube or Fiber Production, Compare to electron or laser beam Melting RTP processing, annealing of semiconductors like Si, SiC, Diamond and GaN. Ionic synthesis methods or ion-assisted methods for improving luminescent properties of nitrides, silicates and phosphors. Electronic Materials Fabrication. Most Nitrides and Oxynitrides display very low wear rates. The rate for chalk in comparison, one that has low wear resistance, is in the order of 10**-2mm3/Nm, and that of diamonds is between 10**-9 and 10**-10 mm3/Nm. The Cascade e-Ion applications include those in extractive metallurgy, mining and ore separation, with uses that enable better collection, beneficiation, refinement of precious metals, and metal/metal oxide reduction and or separation. The energy savings techniques that allow possibilities of change from 200kW machines to 15 kW cascade e-ion machines, embrace particle sintering to controlled oxidative separation. The potential uses for the cascade e-Ion are for augmenting chemical-free misch-metal and precious metal production. Please contact MHI for more details. The Cascade e-ion offers a good return on investment (ROI) for several applications such as melt covers, dielectric rapid processing, nitriding and a host of other applications. Comparisons with directed energy beam systems (Laser, Electron Beam to Sunlight). 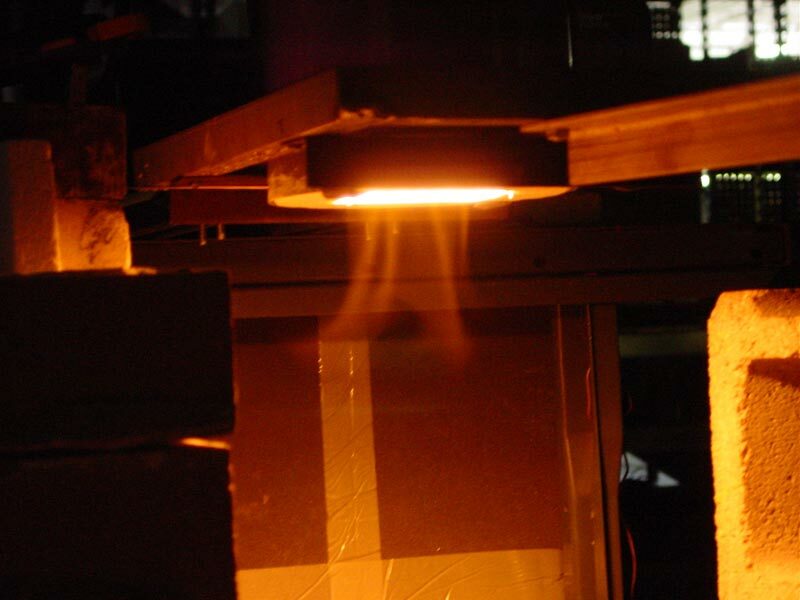 Note that the CleanElectricFlame® can be used as a narrow or wide area source (beam). Some comparisons withLaser to Sunlight are provided. Beam 250mm diameter, large impact, improves productivity. Large area allows for CleanElectricFlame® soaking at various power settings. Depth varies with frequency of machine. Yes when metallic. Coils need to couple and sometimes be formed into complex shapes. No Vacum costs are involved.. Plasmize air or other gases. Cannot be used with metal. 106-108 W/m2 for commonly used industrial CO2 continuous lasers. Depends on laser type. Low: about 1 to 2 kW for entire chamber.�Power density is low for surface. Bulk volume dominates as major term for power density. Efficiency depends on coil spacing, frequency and type of materials keep in coil. None. Adds to High Energy Efficiency. The relative price to use a gas or maintain vacuum is given above. .The smart Cascade e-Ion machine can be used with air as the gas input. Very high, continuous, flexible for even Colloids and gels. Relative price to use a gas or maintain vacuum is given above. .The smart Cascade e-Ion machine can be used with air as the gas input. (*we encourage user to compare prices by themselves as discounts, exchange rate and other issues may impact the prices discussed). Only rough estimates are shown in this table. Unlimited because it is disconnected from machine features. From 3kW-20kW. Several Powers offered. Mostly inert or non oxidizing. Includes Air and Steam Nitrogen and other others as required. 1 - 8 millibar. Vacuum required. Costly. Colors on surface. Cascade e-Ion can be Air Plasma. Please contact MHI. New* R&D Model. Discounted almost 50% for academic institutions who are existing MHI customers. High integrity with base alloy. Cascade e-Ion process generally produce smoother surfaces when compared to gas process. Depends on material, mechanism and process conditions. Also depends on solid solution and other possibilities. Nitrides e.g. TiN and TiON. Si3N4 and variations. Epsilon and Gamma types. Nano-Microns- mm depends on objective. Cascade e-Ion assisted rapid deposition. Aluminum melts primary and secondary. Other liquid metals like silver, bismuth, zinc etc. CleanElectricFlame™. Nitrogen e-Ion Plasma™ Plume (possible species include N2, N2+, N+, N, e-). Discharge is into room air conditions. 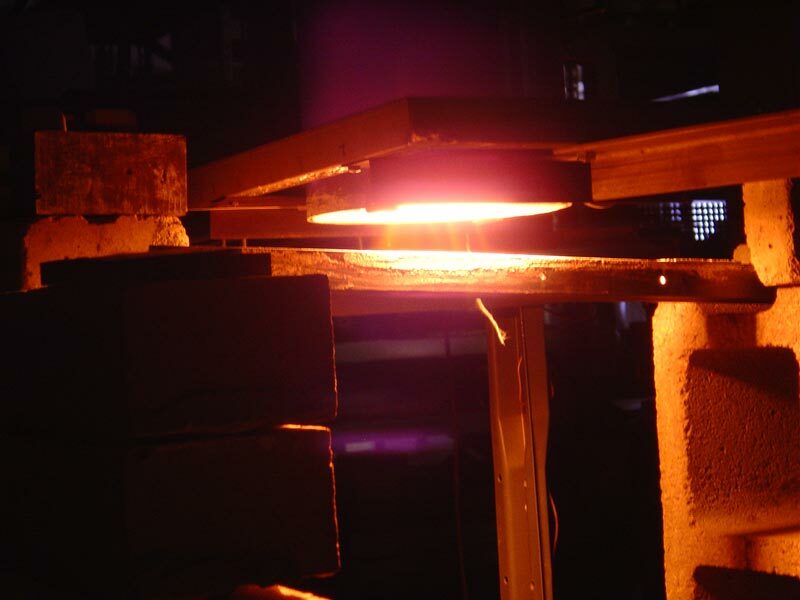 The heating system can be used for composite curing or heat treating on large surface areas of several square meters. Surfaces impacted by flame may be contaminated with small size soot-like particles. No toxic emissions. Air is typical input.